This weeks #MVPatriot in the 30-6 win over the Dallas Cowboys was running back Dion Lewis. Fresh off signing a two-year contract extension Lewis ran for 34 yards on 6 carries and caught 8 passes for 59 yards and a touchdown. He has filled Shane Vereen's role and then some this season and has given Tom Brady a solid go-to-guy in the backfield. Those men have families, Dion Lewis. LeGarrette Blount will still have his days as the bruiser, but Lewis has taken claim as the lead back for New England. 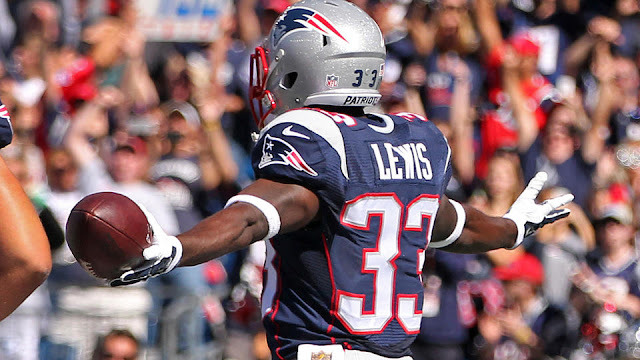 Also, the Colts cut Dion Lewis, so we may be seeing him again as the MVPatriot very soon.